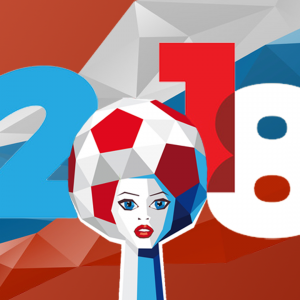 World Cup 2018 kick-off — powered by Windows Azure! The 2018 Football World Cup begins Thursday, June 14 when host Russia welcomes the Kingdom of Saudi Arabia on the day's only match. DORTMUND, NRW, GERMANY, June 12, 2018 /EINPresswire.com/ -- It's the return of the most popular soccer tournament in the world, and it's expected to be a wild, competitive championship with teams like Spain and Brazil looking much improved compared to 2014. There aren't many contenders, usually just a handful. There's defending champion Germany, of course, constant underachievers Belgium, Brazil aiming to return to glory, Spain, France and Argentina. You can bet the champ will come out of that group. Germany still has a lot of quality. Now trying to become the first time since Brazil in 1962 to defend their World Cup title looks tricky for the Germans. 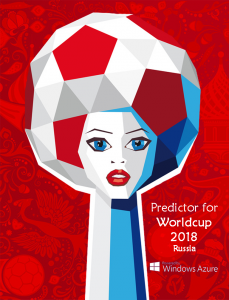 Fans in 242 countries around the world can enjoy the championship kick-off with World Cup Predictor first hand and could be part of this big sport event on tlive Sport platform powered by Windows Azure. Download now for free app from Apple iTunes2. World Cup Predictor from triomis - is available for iPad, iPhone or iPod Touch and any device running iOS 6 or later. Players can not only predict the results of matches but also get the latest goal alerts, news about the tournament and teams, download football wallpapers, ringtones and compare their scores with players from their country or all over the world! The app is also available for Android smartphones1 and Windows smartphones3. Users can play against friends and other users no matter what device they are using.